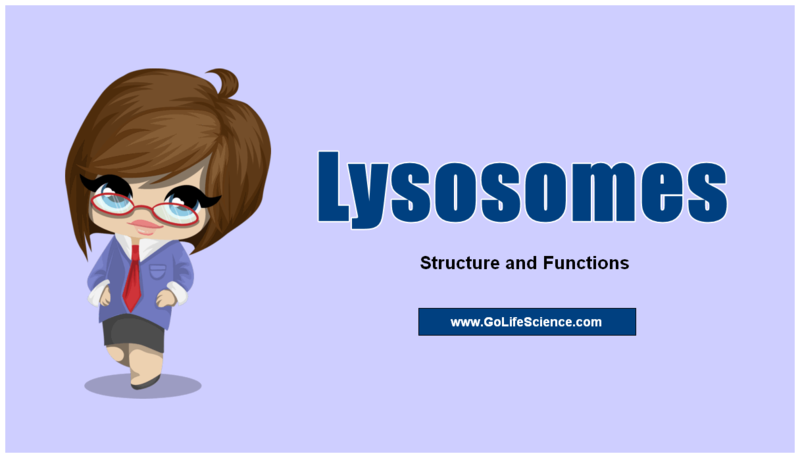 Lysosomes (Laso = dissolving; some = body) are membrane-bound spherical organelles containing lysosomal enzymes, that are hydrolytic in nature. Important enzymes present in the lysosome are acid hydrolases, proteases, lipases, and acid phosphatases. 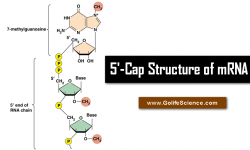 These enzymes are capable of digesting organic molecules like lipids, proteins nucleic acids and polysaccharides under acidic conditions. So these are called “Suicidal Bags“. De dive first described there in 1949. Almost all cells contain lysosomes but their number if much increased in the cells involved in the process of phagocytosis except erythrocytes. There are two main types of lysosomes i.e. Primary Lysosomes and Secondary Lysosomes. Enzymes present in the lysosomes are synthesized in rough endoplasmic reticulum and are then transported to the cytoplasm by transport vesicles into Golgi apparatus through Cis-Golgi or forming a face. These enzymes are further processed in the Golgi complex and then budded off from Trans–Golgi or maturing face of Golgi complex in the form of the primary lysosome. Enzymes are sometimes synthesized by ribosomes, transported through endoplasmic reticulum into Golgi apparatus and from trans Golgi, they are punched of as vesicles, the primary lysosomes. They are formed when primary lysosomes fuse with phagocytic vesicles, thus exposing the contents of the vesicle to lysosomal enzymes. These enzymes present in the primary lysosomes digest the food presentation and the soluble substances are diffused into the cytoplasm of the cell. Undigested material containing vacuole known as the residual body is expelled out by exocytosis. Phagosomes: When the primary lysosome fuses with a specialized white blood cell, the phagocytes, an activated phagosome or phagocytic vesicles formed. They fight against a pathogen by engulfing them very rapidly than the ordinary phagocytes. Autophagic vacuoles: During starvation or after the destruction of cell components especially the liver cells and cells destroyed during metamorphosis fuse with the primary lysosome to form autophagic vacuoles or autolysosomes. Any foreign object (pathogens) that gains entry into the cell is immediately engulfed by lysosome and is completely broken into simple digestible pieces. This process is called phagocytosis. They are involved in intracellular digestion since they have enzymes to digest the phagocytosed food particles present in food vacuoles. They also help in extracellular digestion by releasing enzymes. Sometimes enzymes of primary lysosome are released from the cell. This occurs during the replacement of cartilage by bone during development. Similarly, the matrix of bone may be broken down during the remodeling of bone that can occur in response to injury, new stresses and so on. It is the process by which unwanted structures like damaged mitochondria etc within the cell are removed. Unwanted structures are first enclosed by a single membrane, usually derived from smooth endoplasmic reticulum. Then this structure fuses with a primary lysosome to form secondary lysosome called autophagic vacuole in which unwanted material is digested. It is the self-destruction of a cell by release of the contents of lysosomes within the cell. It is a normal event in some differentiation processes and may occur throughout a tissue, as when a tadpole tail is reabsorbed during metamorphosis. It also occurs after cells die. Sometimes it occurs as a result of certain lysosomal diseases or after cell damage. As a result of phagocytosis and digestion of different components, the lysosomes help in the recycling of important components of the cytoplasm. These is a group of more than 50 rare diseases. It affects the structure of lysosomes in the cell. 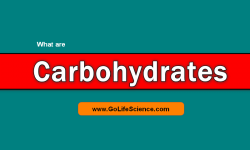 It breaks down substances such as carbohydrates, proteins, and other cellular parts. These disorders affected peoples are missing important enzymes. 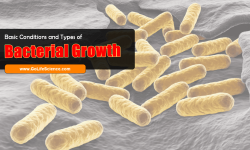 The disease is caused by the deficiency of particular enzymes. Fabry disease: It occurs due to improper development of alpha-galactosidase A This enzyme breaks down the fatty substance. It is called Globotriaosylceramide. By the result, the fat will be accumulated in the cells and its damages. Gaucher disease: Due to lack of Glucocerebrosidase (GBA) enzyme. This enzyme hydrolyzes the fat into fats in the spleen, liver and bone marrow. Krabbe disease: This disease affects CNS. Due to the deficiency of galactosylceramidase. Basically, this enzyme helps in the development and formation of Myelin sheet around the neurons. Mucopolysaccharidosis (MPS) – This a group of diseases that affects enzymes that break down certain carbohydrates. Niemann-Pick disease Types A and B, people lack an enzyme called acid sphingomyelinase (ASM). Lysosomes are cytoplasmic organelles whose main function, in the eukaryotic cell, is intracellular and extracellular digestion. They are distinct in their morphology and in the functions they perform. About 50 lysosomal hydrolases, capable of digesting most of the biological substances, generally acting as acid pH, are known at present. They are known to occur in protozoa, animals, and plants. The lysosomes are stable in the living cell; enclosed by a membrane, the enzymes are not available to their substrates.